knowing your home is pest-free. Call us now to find out more! program members. Contact us to learn more today! problems. Call or contact us to schedule an appointment now! With over 40 years' experience offering proven pest control in Portland and the surrounding area, you can count on results from us. We guarantee your satisfaction! Ants are notoriously hard to get rid of. Hundreds can show up in an instant, even in the cleanest of homes. Call today for complete, long-lasting ant removal. 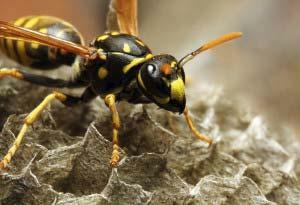 Bees, wasps, and hornets are a nuisance and a health threat. Rid your landscaping, trees, and building of this threat with comprehensive bee removal. 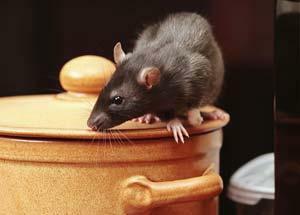 Rodents spread bacteria and allergens and quickly contaminate stored food. When you've seen one, there are likely dozens more. Call for complete rodent removal. The venom of a hobo spider bite poses a serious health threat. 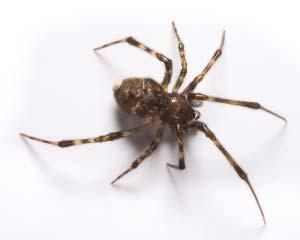 Other spiders create a creep-factor in your home. Call today for spider removal you can rely on. 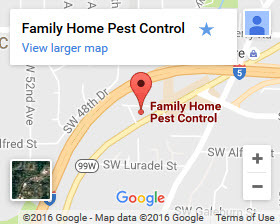 Since 1975 Family Home Pest Control has offered thorough, lasting pest control in Portland and the Greater Metro and SW Washington areas. We focus on complete customer satisfaction. A large part of what makes us stand out is our experience in the field. We identify and specifically target the insects we are eliminating. We don’t just blanket an area with the harshest product on the market, but rather complete an inspection identifying the unique combination of pests on your premises and apply a pest control plan that is aimed at eliminating those specific threats. We offer different packages to our customers so you can find the right one for your needs and your budget. Our friendly certified pest control professionals help you decide on the right flow up, depending on the type of rodents or insects you have and the severity of the infestation. All of our hand-selected exterminators have the experience and training to advise our customers on the appropriate schedule of services. We take the time to answer all your questions and explain our processes, so you feel well informed. 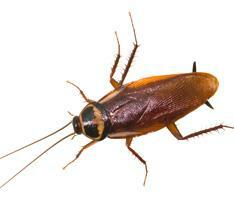 We want to completely eradicate your pest problem, but we go a step further and ensure they stay gone! We keep track of your next service due date so you don’t have to call us for an appointment every time. We arrive on time, ensuring your follow up visits are done within the right window of time to stay ahead of insects, so they do not have a chance to come back. Our staff and technicians are knowledgeable and friendly. We listen to your needs and instructions and take the time to answer your questions. We provide full-scale extermination services for any type of pests and any size or location, including large complexes, warehouses, single family homes, hotels, and more. We have developed a well-established, trusted a name in our four decades of service. Our expert technicians use time-tested products and methods that are proven to kill insects and other pests at their source. Contact us today for your free estimate and get proven extermination services that work! Commonly asked questions about pest control. 1What does an exterminator do? An exterminator is your first line of defense against pests. They are trained, certified, and experienced in pest extermination and removal. This involves the inspection of a home or business to identify what type of pest you have, where it is nesting, how it is entering the premise, and why it is entering the premise. A control plan is devised based on this information and carried out by the exterminator. 2What is a pest control technician? 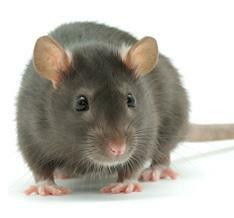 The title of pest control technician is interchangeable with an exterminator. Both professionals carry out the same work and use the same methods. Pest control doesn’t always mean elimination, though. An exterminator typically takes measures to control an infestation and a pest control technician takes measures to eliminate an infestation. 3How is pest control done? Biological pest control: This uses chemical agents and may involve baits, pheromones, sprays, and repellants. 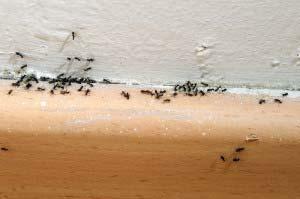 Physical pest control: Exterminators manually remove pests and use control methods like barriers, sealants, and environmental manipulation to control pests. Mechanical pest control: Mechanical devices include traps, bait stations, and other devices designed to prey on the behavior of a specific pest. 4How do you control pests? and residents of the home. Certain methods aren’t used when small animals or children are present. We always target our efforts as well. That means identifying paths your pest uses, where they are present, and using their feeding areas and times against them to achieve the fastest and most complete results. 5How do you prevent pests? Pest prevention depends on what you’re trying to prevent. Some best practices we always advise customers to follow are to keep all food items (including those for pets) in air-tight containers. Make sure there are no leaks in your home (including the attic and basement). Mechanical exclusion involves sealing off all entry points into the home. This is difficult for homeowners to accomplish without help, but you can keep your lawn and surrounding areas clean and free of debris. If there are any trees or bushes that provide roof access for pests, move these away from the home or trim them shorter than the roof line.